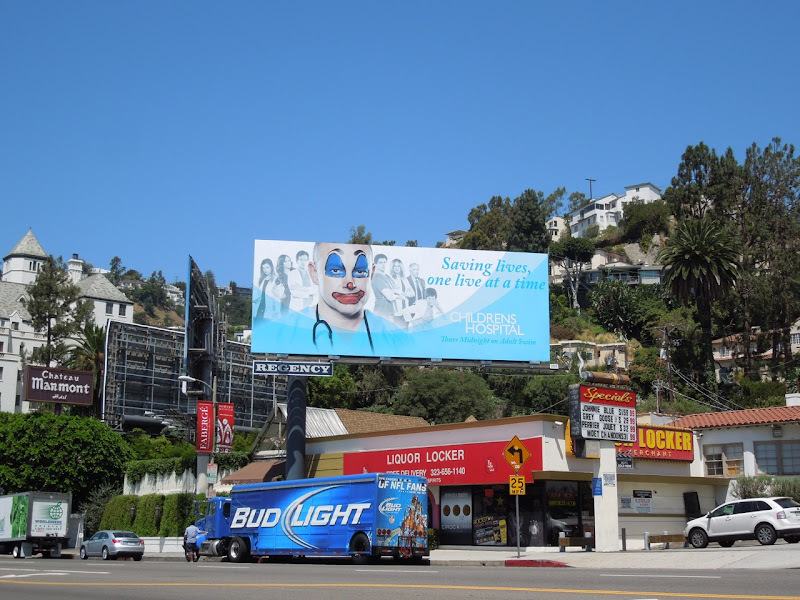 Rob Corddry's absurd medical-show parody is back for a fourth hilarious season and Daily Billboard can't help but smile every time we see his painted clown face along Sunset Boulevard. 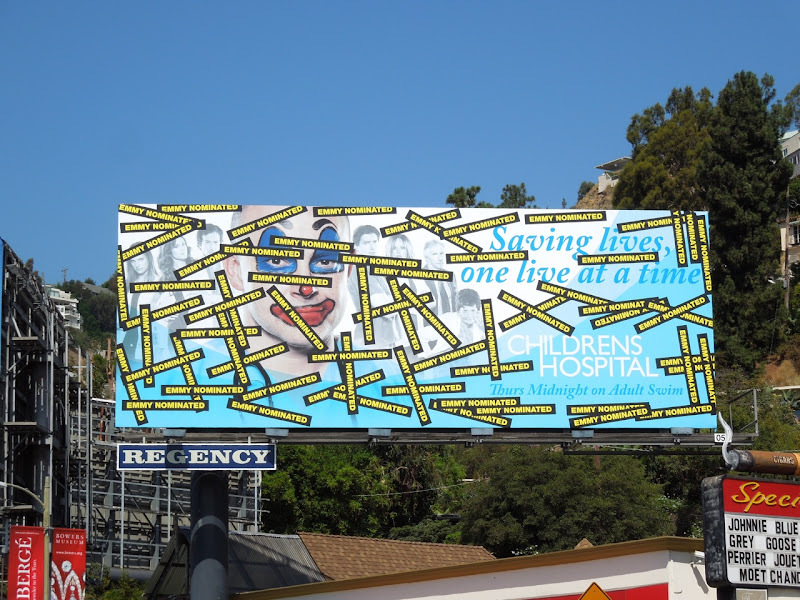 This season four creative for the hospital-based satire was snapped in Adult Swim's regular ad space near the Chateau Marmont Hotel on August 9, 2012. 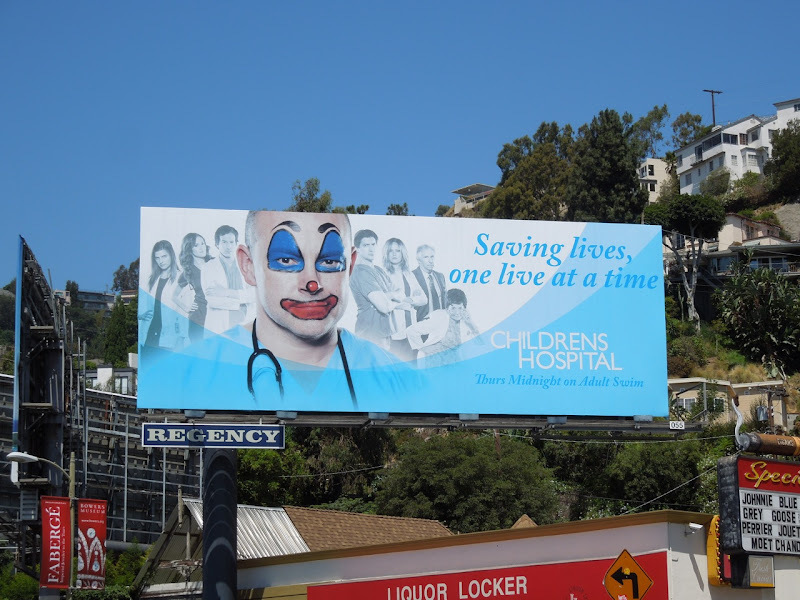 If you're a fan of the show, be sure to compare this ad to the previous season billboards for Childrens Hospital. 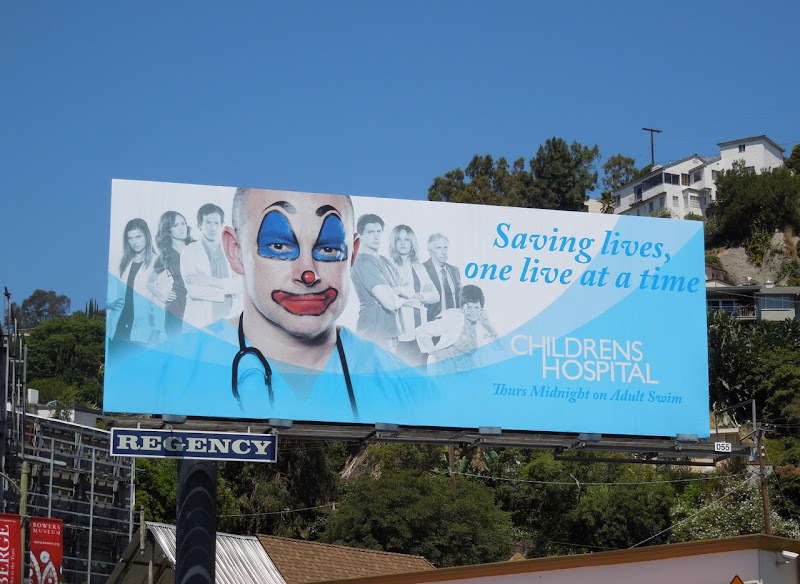 UPDATED: Well it certainly looks like someone is excited to be Emmy nominated. 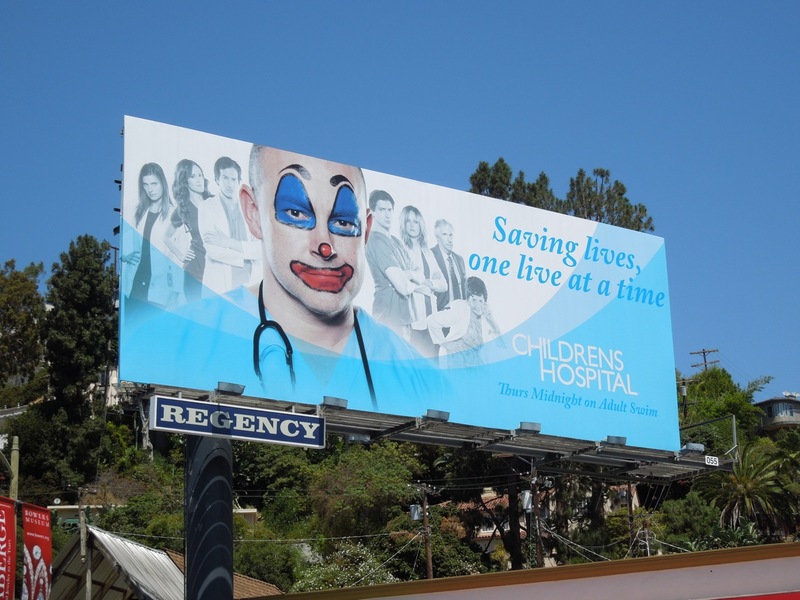 Congratulations to Rob Corddry, cast and crew for being nominated in the Outstanding Special Class Programs category. 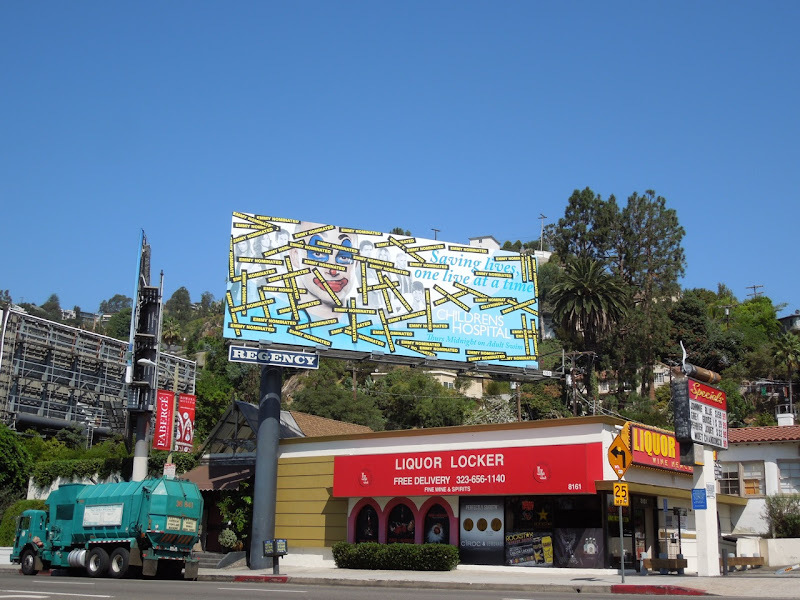 Daily Billboard would expect nothing less than this irreverent response to the show's recognition, with this quirky billboard snapped along Sunset Boulevard on August 30, 2012. 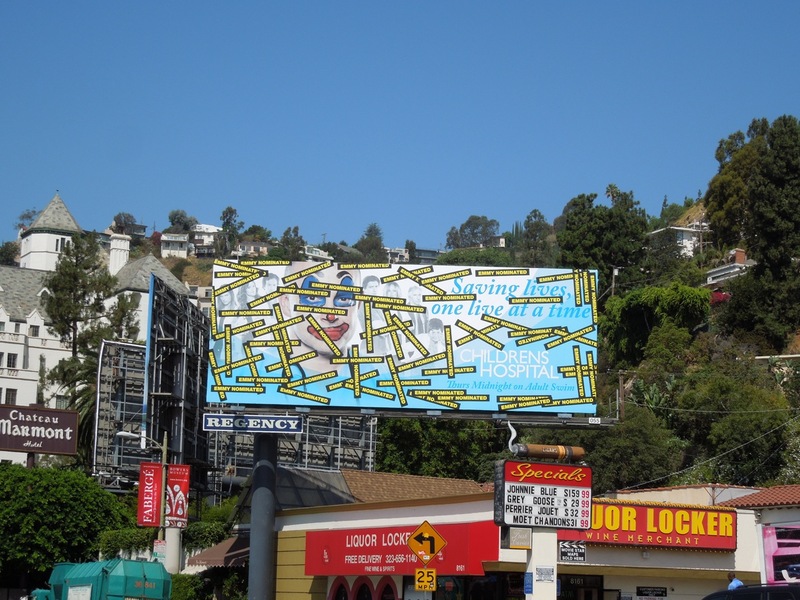 Fingers crossed that this nomination turns into a win on the big night.